Let us help you make your big day one to remember with personalised locations and professional crew that make you feel like it is just you and your photographer out in the wilderness. We have many locations throughout Fiordland and beyond to make your wedding day photos unique. Eloping more your style? Not a problem! We have exclusive locations with stunning views that will add layers of your enjoyment to your special day. If love is in the air and your ready to ask the big question then let us know. We are very proud of our 100 percent success rate with proposals. Its always been a big yes! A customised flight to best suit will be sure to add to the surprise. Side note: We are really good at keeping secrets so we won't let the plan slip and a complimentary bottle of bubbly will be orgnaised for you both to enjoy on location to help celebrate! 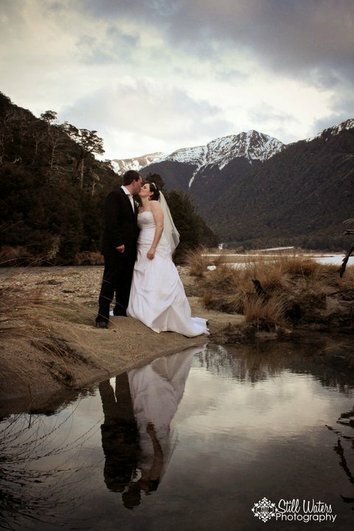 We have pretty great contacts within the wedding and photography industry and a more than happy to help with suggestions of professionals that have experience in remote locations such as the Fiordland National Park.